The abbey at Longchamp, the setting for Diderot's La Religieuse, had a reputation for laxity. The convent was at the same time a cloistered order of nuns, a place of retirement and a pensionnat for young ladies. With its proximity to Versailles and the number of well-to-do pensionnaires who found their way to it, a certain relaxation of the rules was perhaps inevitable. The royal authorities had no direct jurisdiction over the convent, but they kept a close eye on the comings and goings. A police report from 1768 lists the pensionnaires and some of the nuns who merited surveillance. It is a typical document of its kind, mixing pseudo-official comment with plain hearsay, and, in this case, a decidedly masculine appreciation of the convent inmates. 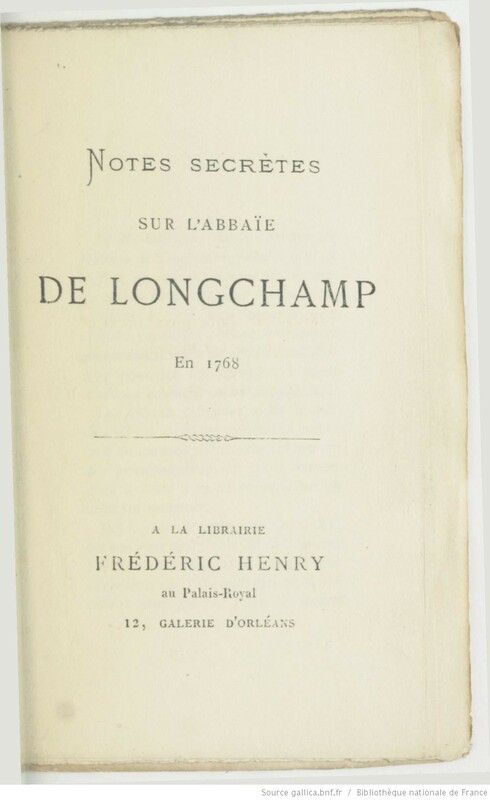 The report only exists as a pamphlet from 1870 but the historian of Longchamp Gaston Duchesne confirms its authenticity. All these nuns and pensionnaires really lived in the abbey. One of the Bertault sisters mentioned (Anne-Charlotte Bertheau - the report's spelling is creative) was abbess between 1780 and 1786. According to the report, the convent was divided into seven or eight coteries which occupied themselves "exclusively with pleasure". The most salacious anecdote involves two young men who conned their way into the convent disguised, somewhat improbably, as a performing bear and its owner. The elder of the Bedelles sisters, who were both nuns, led the "bear" to her room where she fed him sweets. The police report claims that the both men became successively her lovers. Another story involves an artist called "Descan" who was admitted by one of the pensionnaires, and had a high old time painting portraits of the prettier denizens of the convent. This man is identifiable - he is Jean-Baptiste-Marc-Antoine Descamps, "Descamps fils" (1742-1836); there are a few surviving paintings and a Wikipedia article. Mlle TALBOT, Irish, fifty-five years old, a relative of M. Dillon, Archbishop of Narbonne. Mlle de Tirconel, her niece, married M. the marquis de Ventimille. This lady has a charming character and lively disposition. Her company is most agreeable, and her conversation is lightly witty and knowledgeable. She has an attractive appearance and has always lived in high society. She now lives in retirement whilst her affairs, which she has mismanaged, are put in order. Mme DAUBERQUE, a well-born woman from the Nirvernois, sixty years old. Was for a long time the mistress of M. de Rocheguard, an officer of the guards. She is a sad woman, but very charitable. Mme DE BUSSI-ANRION ("Henrion de Bussy") , the mother, fifty-five years old, from Bourgogne; her late husband was governor of the Pages of the Royal Stables; she was educated at Longchamp. She a charming and sociable woman who lived for a long time at Court. After the death of her husband, she retired to her estates in Bourgogne in order to bring up her only son, whom she supposed would be a consolation to her in old age. Four years ago she married him to Mlle Dauberque; but the character of the son has become so brutal and wild that both mother and daughter-in-law were obliged to leave the chateau and seek refuge at Longchamp. Mme de Bussi-Anrion, the daughter-in-law, maiden name Dauberque , thirty-six; not a very pretty woman. Mlle DE KUVILLE, Englishwoman and convert, sixty years old; she says she is noble; without fortune. M. Rousseau and Mme the Abbess of Panthemont pay her pension and keep. Mlle DE LA CROPTE DE BOURSAC, twenty-four, niece of the late Bishop of Noron. Madame her mother searches everywhere for a husband for her, without success. She is neither rich nor pretty; she also suffers from fits which are probably a form of epilepsy. Since the death of M. de Noron, it would appear that Mme de Boursac has lived purely on charity from the Court. It seems she keeps her daughter's whereabouts a secret, for no-one comes to visit her. She has a maid in the convent called Chenneval, who is twenty-two and one of the prettiest creatures you could find; she has blond hair. Mlle DE GRANGENEUVE, thirty-four years old, from Saint-Étienne-en-Forest, the daughter of a munitions clerk, poor. 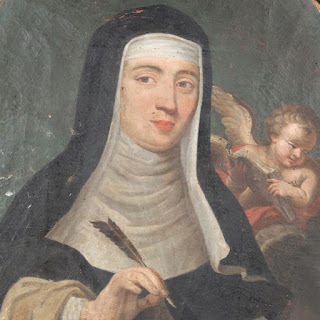 She has not been able to pay her pension for a long time; she owes the abbey 2,000 livres; she is only able to remain thanks to the generosity of Mme de Bussy-Anrion. She is a woman of good character, pretty, tall and well-built; brown hair. Mlle LE CHAT DE LA CHEVALERIE, eighteen years old, a creole, very rich. The estates of La Chevalerie are situated above Le Mans. This young lady is of small build, but shapely; she carries herself well, with a noble air, full of grace and has a good skin. Her face is so pretty that she could be a model for a miniaturist. She dances and sings very well, and plays the violin like Baptiste. She had an elder sister at the convent who recently got married. The latter made trouble for her with Monsieur her father, who has given orders for her to be kept a close eye on. It appears that her sister revealed an intrigue that she had with M. le vicomte de Rochechouart, who had been courting her for more than a year; she had much more liberty then than now. He father keeps her closely confined and refuses her all comforts. 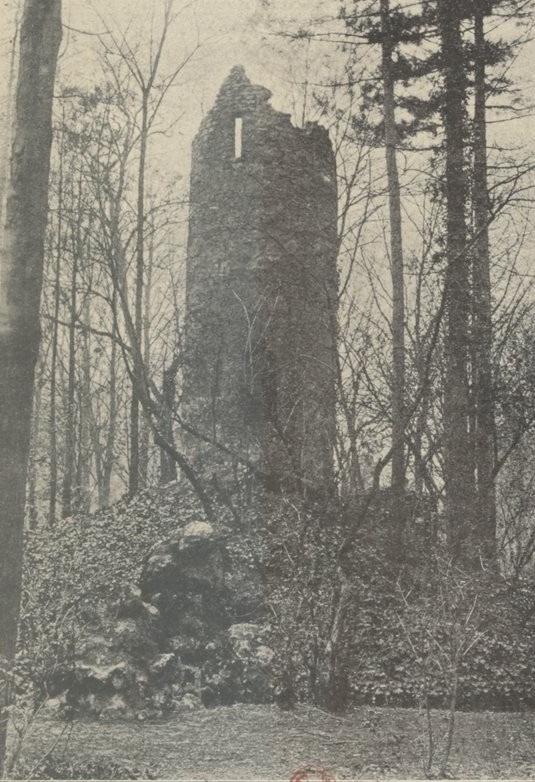 However her relative M. Desland, a musketeer, and an abbé friend of theirs, help her as much as possible; dresses, fashionable costumes, poultry and game of all sorts. It seems nonetheless that she lacks money since Audoir, the innkeeper at the Longchamp gate, gives her loans with interest. Since these troubles, the young lady has been afflicted with attacks of the vapours. To lessen them, she takes milk baths and sleeps at night with Mlle Aber, who takes care to wake her if she has bad dreams. Mlle ABER, twenty-two, daughter of a procureur of the Parlement. She is a small person, ugly, with little wit but much determination; she is bored to death at the convent. She has two sisters, one married to a procureur, the other an Ursuline nun. Their mother, who is a woman of pleasure, has disposed of her daughters to pursue her enjoyments without their prying eyes. Mlle LIEGE, nineteen, daughter of the late Liege, apothecary near Saint-Roch, has two brothers; the elder succeeded his father; the younger, who has a thousand ecus income, is a man about town. This young lady is tall, attractive, well-built, with a fine skin, white like snow, black hair and beautiful eyes, a cherry pie; her rounded face has a lively complexion, her teeth are perfect; her dowry is 90,000 livres. She likes to spend money and have her whims satisfied. For eighteen months her lover was a pupil at the Academy of Painting called Descan, the son of a drawing master from the Academy of Rouen. Mlle Liege is a close friend of Mlle de La Chevalerie; she introduced her younger brother and Descan, her lover, to M. Deslandes the musketeer and their mutual friend the abbé. This jolly troop took advantage of all the opportunities for pleasure that Longchamp has to offer. 1. The painter presented himself and offered to paint portraits; for eighteen months he was regularly allowed inside the convent to paint pretty faces and he didn't leave until ten o'clock at night. He had a workshop in Mlle Liege's room. He didn't lack sitters because he worked for nothing. The most youthful and pretty, nuns and pensionnaires alike, exercised his talents. 2. To vary the pleasures on offer, these gentlemen assembled in the grand parlour to perform comedies, to the great enjoyment of the nuns and pensionnaires. I do not know how Mlle Liege found out that Descan was unfaithful to her; she sent him away and told him to mix his colours elsewhere. Mlle CHEVALIER, fourteen, Parisian, pretty, tall and well-built, a bright blond with a pretty mouth, good voice and a lively mind. She is the daughter of a clerk in the war office. Her father is the friend of M. de Chennevière. She is at the convent to take her first communion. Mlle DE BEAULIEU, not her real name, seventeen; she is believed to be the natural daughter of M. Dangers, the farmer-general, and they say that her mother is a nun from the provinces. She is small, but well-formed, with elegant features, beautiful brown hair, fiery eyes; good teeth and skin. She has an impish wit. If she has any fault, it is that she has big feet. 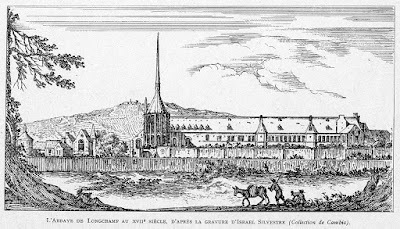 The sieur Maugis, a collector at the Saint-Jacques customs barrier, pays her pension and upkeep. They say she is his goddaughter. This young lady is not an intriguer, but she is very bored with the convent. They want her to become a nun, but she is not having any of it. Mlles GIRARD, three sisters, daughters of a Paris wood merchant, five, seven and nine years old. Mlle DAUGON, five years old, niece of Printems. Mlle LANGLOIS, a woman of rank, sixty years old, has lived at Longchamp for twenty years. Mlle JULAT, forty years old, formerly a governess to well-born children. She is woman of great merit and sense. She is the niece of M. Bertin, a royal official. This monsieur intends her to be a companion to Mme Bertin when she goes to the country. Mlle FILLEUL, thirty, the convent organist, is as ugly as she is stupid. She has three sisters who are all organists, one at Sainte-Périne de Chaillot, the other at Bon-Secours and the third at the convent of Montargis. Mlle DE BASINCOURT, forty, a well-born woman from the Forest-de-Lions, near Gournay. A woman of intelligence, a philosopher, who spends her time writing. She has just dedicated to the Queen a book entitled Education des jeunes demoiselles. The Court has awarded her a pension of 150 livres. She has asked for a position with Madame, the daughter of the Dauphin. She is a close friend of M. de Chennevière. This lady is a very pretty brunette. Mme DES ESSARTS, from Caen, seventy years old, a professed nun from the convent of Touci. She has with her a lay sister, sister Saint-Maur, aged forty-two. Mme DE SAVARI, fify years old, sister of the Director of Water and Forestry in Rouen, Ursuline nun from the town of Rouen. Mme the comtresse of Imbeck visits her often. M(?me) de PALUO, sixty years old, from the Petites-Cordelières of the rue de Grenelle. 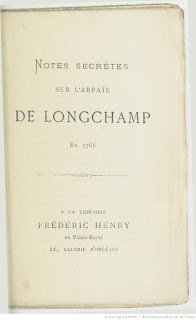 Lives with her niece the comtesse d'Érigny, aged fifty, affiliated for six years to Longchamp. Mme LETELLIER, seventy-two, Cordelière from the rue de Grenelle; has been at Longchamp for twenty-six years. Sister CHARLOTTE, Bernadine, came from Panthemont three years ago, old and infirm. Mme DE MONTBEL, thirty-three, Bernadine, niece of M. the Bishop of Soissons. Has only been at Longchamp for three months. Mme CHAUMONT, thirty-two, Bernadine from the abbey of Saint-Antoine; very cute and pretty. She has been at Longchamp for twelve days. Her family are very rich cloth merchants. Mmes DE BEDELLES, two sisters, forty and twenty five, the daughters of sieur Bedelles, formerly a dyer at the Gobelin tapestry works. They are much sought after by young men. They tell a jolly story about the older sister. She had a lover called Julien who was a mason from Suresnes. His immediately predecessor was sieur Signi, the clerk of M. de Boulogne, receveur-général des finances. This Signi was a friend of Julien; he wanted ardently to get into the convent; to do so they devised the following stratagem. Signi dressed up as a bear and wore a muzzle. Julien disguised himself as the handler and, leading the bear by an iron chain, presented himself at the gate of the Abbey. He offered to show the ladies of the convent the bear, which he said was remarkable for its gentleness and the tricks it performed. Their curiosity was excited. They allowed the bear and its master into the convent. They were taken to the Refectory. Here the bear demonstrated his abilities and tricks. The community were charmed. Julien boasted of the animal's gentleness. Mme Bedelles, the younger, is said to have as a lover one of the clerks in M. the duc de Choiseul's office. She got to know him when she lived at M .de Chennevière's house at Versailles. Mmes BERTAULT, two sisters, nuns, also pass for being galantes. The whole convent is divided into seven or eight coteries that are interested only in enjoying themselves and making merry. The house is deeply in debt and is beginning to have trouble finding further credit.